Nature has gifted us unique flavors and fruits for cooling down during the scorching summer heat in a healthy way; some of the sweetest fruits of the year are available only during this period. In the Indian subcontinent, summers are synonymous with the mango festivals. The king of fruits temptingly blends into the country’s unique traditions with its multiple uses, apart from being a savoring delicacy. 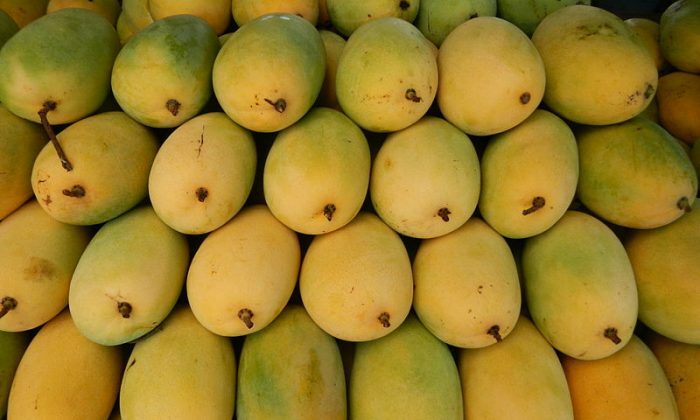 During summers, mango festivals are held in different parts of India, presenting its diverse varieties in the forms of exhibitions and wholesome family activities. All parts of the mango tree, wood, leaf, and pit, find appropriate use in various day-to-day rituals and medicines. Mango has a high nutritional value, loaded with almost all protective nutrients like dietary fiber, vitamins C, E, D, K and B-complex, and minerals like calcium, potassium, zinc and Iron—making it more than just a regular fruit. Its leaves carry unique significance in Indian culture: when hung in entrances, they symbolize prosperity and good luck; mark the celebrations of a newborn in the family; and keep away evil omens as per traditions. Indians often chew mango twigs to brush teeth due to its anti-bacterial properties and better dental hygiene. The plant is used in traditional Indian medicine for centuries for its anti-septic, anti-viral, and anti-asthmatic properties. The seed’s curative properties allowed it a vital place in Ayurveda (ancient Indian medicinal system) for treating hair-fall and diabetes. Rather than just throwing the mango pit away, it can be soaked in coconut oil and applied on the scalp to check hair loss. Normally, unseasoned wood does not burn easily, but the wood of a certain mango tree burns easily even when it is freshly cut. In ancient India, the elders would often choose a tree to be cut down for their cremation. The fruit is a gem in the kitchen as well, eaten raw, made into curries, mixed with milk, used as pickles, and even powdered for seasoning. The sweetness of the Indian mango is unmatched; some varieties can be rolled and juiced in the hands, and then bitten off to directly drink the pulp. In India, many refreshing summer drinks are made using mangoes as the first main ingredient like Mango Lassi and Aam Panna — both famous for heat resistant qualities. Many scientific studies across the globe have found that mango increases immunity, fights cancer, prevents anemia, reduces cardiac problems, and even helps to improve skin complexion. With more than a 100 savoring varieties and diverse uses that extend beyond the four walls of a kitchen, mango indeed fits the title for a king of fruits.